Choosing a superior whole house filtration system doesn't need to be a challenge. With Doulton's Rio-2000 module whole house candle filtration system, you can put your mind at ease. 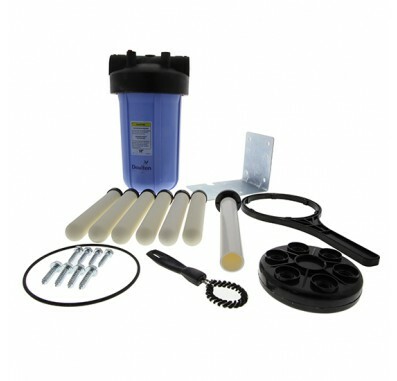 The Rio-2000 provides outstanding filtration capabilities that remove up to 99.99% of common water contaminants like bacteria, cysts and sediment. 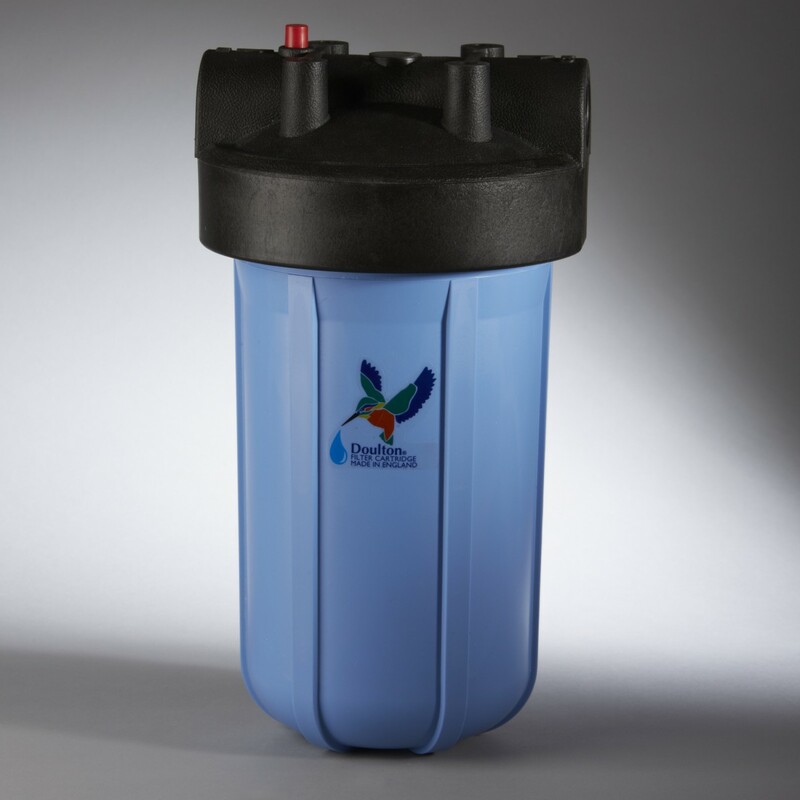 The Rio system is capable of contaminant removal as small as 0.5 microns, and still retains a 6.5 GPM flow rate! To achieve high flow rates, the Rio-2000 uses 6 filter candles, significantly increasing the amount of ceramic surface area that the water is exposed to. The Rio2000 Module comes complete with 1-inch inlet/outlet housing, mounting bracket, installation hardware and the Rio-2000 Module (includes 6 Sterasyl Mini ceramic filters). 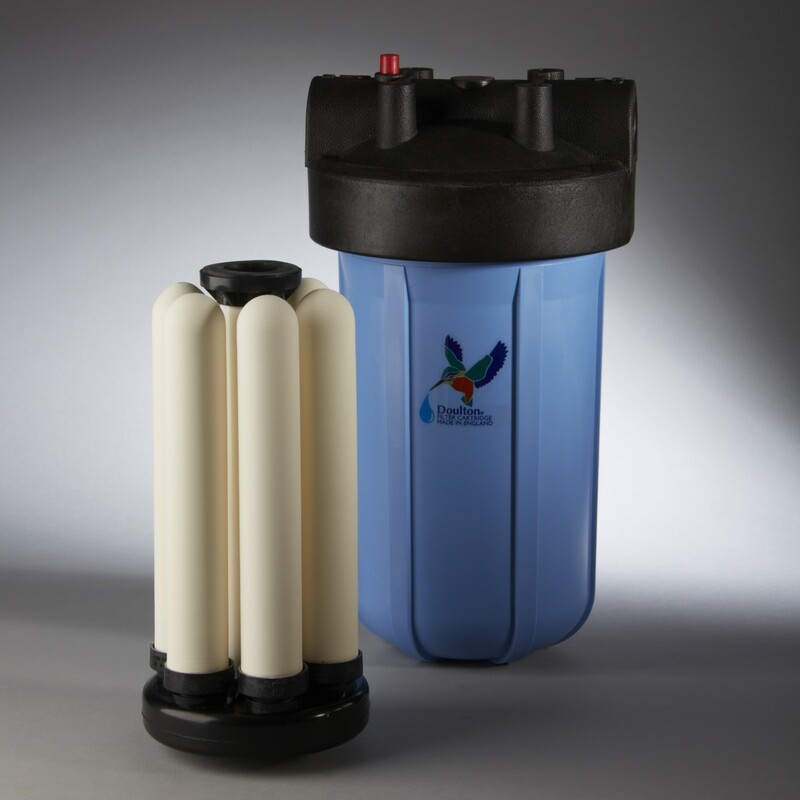 The Doulton RIO 2000 Ceramic Multi-Candle Filter Cartridge uses Sintered Ceramic to remove contaminants for up to 6 months. 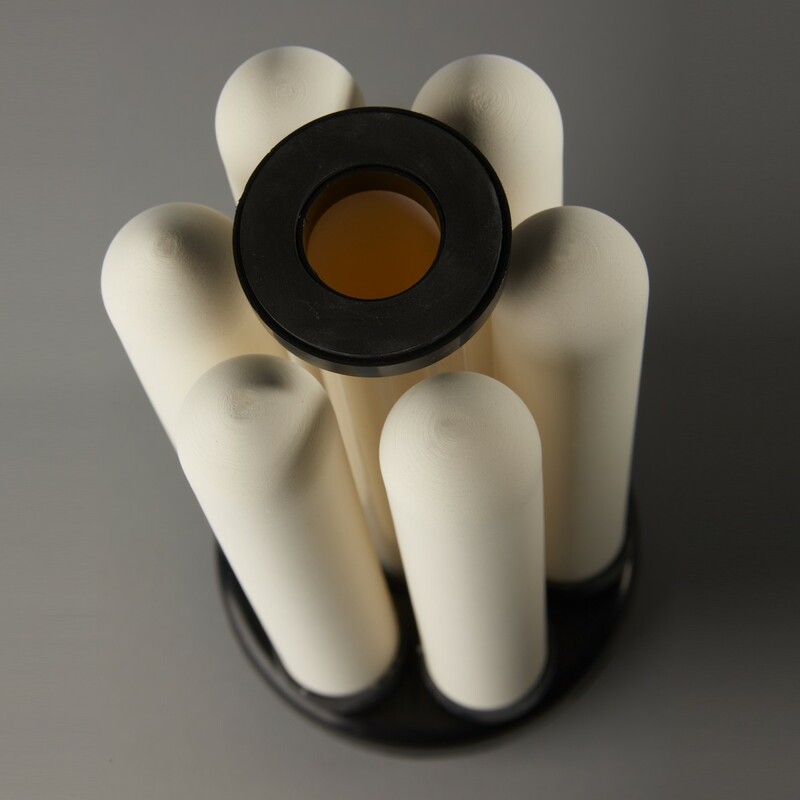 Ceramic filter is impregnated with silver to prevent bacterial growth. Ceramic filters can be scrubbed clean with a brush for an extended life time. Note: See owner's manual for complete system specifications.